If you live in or have ever visited the Washington D.C. area, you have spent an afternoon at the family-friendly Smithsonian National Zoological Park. The lions, tigers and bears are impressive but so is the Zoo's diverse collection of trees. Tree species you can find throughout include Himalayan pine, Turkish hazel, green and white ash, yellowwood and golden catalpa. Although trees usually take a back seat to the animals - especially the pandas - the National Zoo is one of the best places in D.C. to practice your tree identification skills and find some cooling shade during our notoriously hot summer months. While we have yet to coordinate a Community Tree Planting (CTP) event at the Zoo - hint, hint - we have coordinated GIS scavenger hunts for our Summer Crew team members on the grounds and helped the Smithsonian Institution do an inventory of their trees. If you want to check out some of the Casey Trees-planted trees nearby, stroll down to Kalorama Park in Adams Morgan. Casey Trees hosted CTPs at Kalorama Park in the fall of 2008 and 2005. You can also locate other Casey Trees-planted trees in close proximity to the Zoo using the Casey Trees Map. 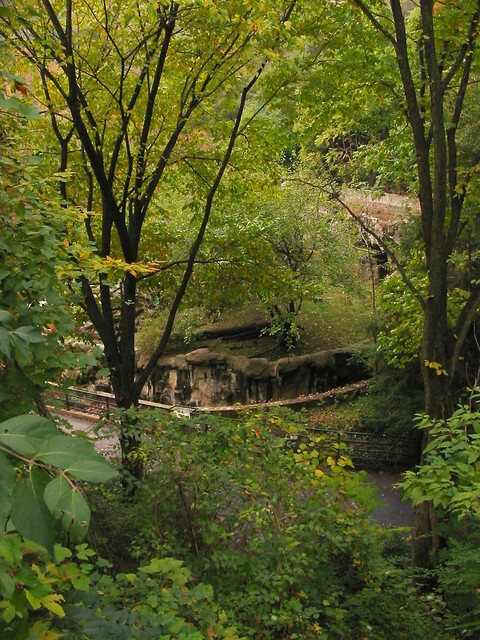 The Zoo is Metro accessible, free to the public and open 10:00 a.m to 6:00 p.m. during the summer. If you haven't visited the Zoo recently, find some time this summer to enjoy all its natural offerings - trees and animals alike.